Of course, the NaNoWriMo bible. One of the books I own but haven’t read yet. It’s basically just a collection of articles about the entire writing process, written by established writers. This book’s gotten some rave reviews and it’s easy to see why. The chapters are short and to the point and it offers some nice tips on how to get past common mistakes that are easy to miss. This book gives an extremely thorough take on revision. Steps are very clearly outlined, and it’s written for busy people who have only the weekend. If you follow the steps, you could finish your revision in 17 weekends. The best features of this book are its humor (Morrell’s unique editorial voice really shines through) and how it manages to touch on nearly everything that can go wrong with a manuscript. This book is current (published in 2010) and details the entire publication process. Extremely helpful if you’re at that stage in your writing journey. Similar to the previous book, but I think it’s more helpful because it’s got details about the legal side of publishing that might be very valuable. 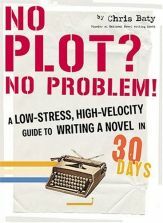 There’s lots of information in this book that I have not been able to find in any other writing guide. I wonder if I would be a more disciplined and motivated writer if I actually cared about getting published . . .
For those focused on the publication destination, this looks like a wonderful list. WOW. Lovely collection you’ve displayed here, Maggie. I looked for “The First Five Pages . . .” in my library catalogue and reserved one for me 🙂 Thanks for the list!